The Blurb: Blood Stains Don't Show On Black! Being friends with a vampire can be hazardous to your health. That’s what Christian’s tribe of New York City street punks has been finding out the hard way. Ever since his transformation, the people who get close to him have been dropping like flies at the hands of the fiend that infected him. His girlfriend Cara was dead and his roommate Rachel lay grievously wounded as he headed towards an uncertain and perilous future. Now he must quickly learn to defend himself if he is going to face The Chord and find a place in vampire society. Fortunately, he has his sword wielding mentor Amym and a beautiful Gothic exotic dancer named Joyce, to help guide him. 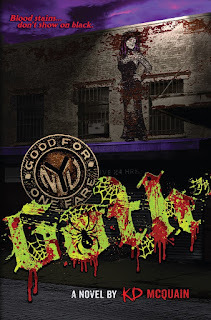 The review: I reviewed the first book in this series, NYV: Punk over at Vamped and, at time of the publication of this review, the further review I have written of the series related novella, which gives the background of the character Amym, is pending over there. Author K.D. McQuain approached me independently and offered me book two of the series for review. 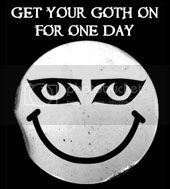 The first novel was set within the early New York punk scene and this book moves forward into the early days of the Goth scene (actually, probably better described as Post-Punk). Main character Christian, or Chris, has been turned into a vampire by accident and in this world vampires are divided into two types. Those born as vampires and those turned (who are known as the Lesser Blessed). The ruling vampire council/society is known as the Chord and Chris is sent to be trained as they decide his fate – in this world the Lesser Blessed serve the Chord usefully or die. What they decide is essentially an experiment. Chris and fellow vampire Joyce are to reveal themselves on the Goth scene, they are to offer (without giving - for obvious reasons but also as Lesser Blessed cannot create vampires) immortality and create a vampire lifestyle group of followers. The experiment is, essentially, obfuscation of vampires by creating a false mythology. This aspect of the book was interesting in and of itself. The horror in this volume is delivered through Chris’ sire – both his abusive modern-day activity and the backstory that reveals the born vampire was Gilles de Rais and we explore his crimes, his punishment and his survival. The two aspects come together at the end of the novel when the born vampire creates a coterie of out of control Lesser Blessed that the Chord send Chris and Joyce to deal with. There is a moment at the end that goes into the mystery of Chris’ upbringing that has been left silent since the opening of book 1. McQuain’s writing has strengthened from the first book (actually something I noted in the novella Amym). The moments of Chris seeming too knowing and his dialogue feeling a little off because of this are few and far between and the pacing of the book is stronger, with the flashbacks and contemporary horror moments balanced nicely. 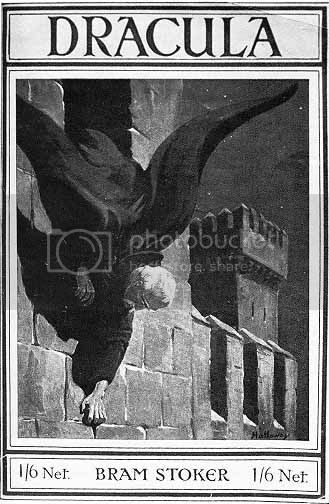 The books draw both an interesting version of vampirism and a decent level of mystery still to be revealed. 8 out of 10.